You're another May baby, and aren't we just the best? I hope you have a totally fabulous birthday. After all, we've all pulled out our best dresses for your party. LOL. 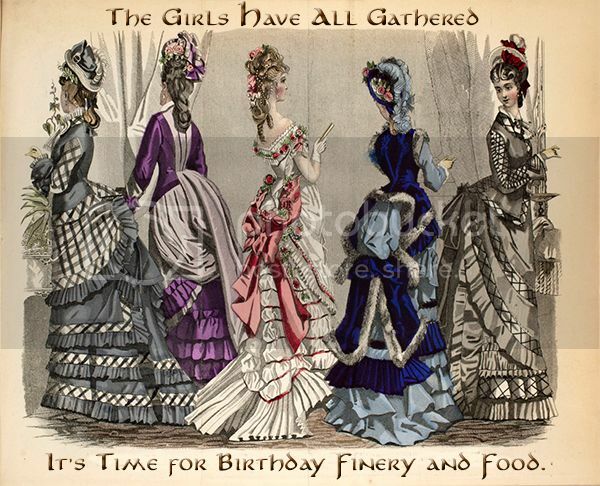 No, not really bustle about as much as put on our finery and indulge in fun and frivolity.